Desserts To Try On Your Next Trip To Paris - Bold Outline : India's leading Online Lifestyle, Fashion & Travel Magazine. Paris, the City of Lights has always been sensual, with its magnificent architecture, art galleries, fashion, museums, boutiques, cafes, which makes any traveller fall in love. The seductiveness of the city isn’t just limited to its locales, but extends to its desserts. Most of the world-famous desserts employ techniques and ingredients that have a French origin. Apart from the usual macarons, eclairs, and Crème Brule’s, Bold Outline takes a deeper dive to discover some of the sweet treasures the city has to offer. A rich layer cake made of thin layers of almond sponge cake soaked in coffee. The filling is usually alternating layers coffee buttercream and rich chocolate ganache and a topping of chocolate glazing. A gold foil or a single pistachio adds to the final touch. A profiterole cream puff or choux à la crème as it is known locally is a light and fluffy pastry ball filled with fresh cream and then drizzled with warm, melted chocolate. A cup of coffee is a perfect pairing. Sweet chestnuts pureed and piled on a meringue base and topped with cream to resemble an ice-capped mountain, to be precise the White Mountain or Mont Blanc in French. Icing sugar is sprinkled on top before serving. Translated as the Floating Island, the dessert consists of meringue ‘islands’ floating over liquid vanilla custard or crème anglaise as it is locally known. The dessert is classically garnished with caramel sauce and topped with praline powder. 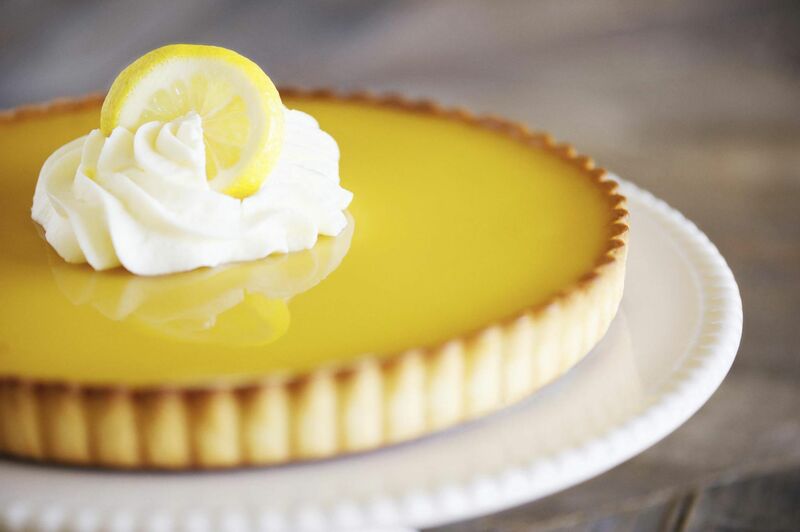 Also known as the tarte au citron, this classic citrus tart is made by pouring lemon-flavoured custard into a baked tart shell. While the sweet pastry contrasts the tanginess of the custard, the cream topping adds to the lusciousness of this dessert.